Summary: B:tVS, SG-1. "You can't tell me it's always puppies and sunshine out there; I have eyes, you know, and there's an awful lot of guys with guns guarding this thing." 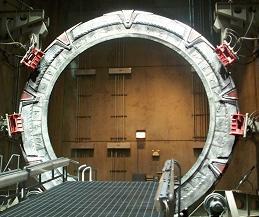 Spoilers: Post-series for B:tVS; begins during Season 8 of Stargate SG-1, and continues forward, paralleling canon. Notes: Yet another way Buffy might have come to the attention of Stargate Command.